According to the National Fire Protection Association, washers and dryers were involved in 1 of every 22 home structure fires reported to US fire departments in 2006-2010. They go on to report that of the estimated 16,800 reported US home structure fires involving washers or dryers, clothes dryers accounted for 92% of the fires. Here’s the one we wanted to emphasize: the leading cause --- failure to clean. 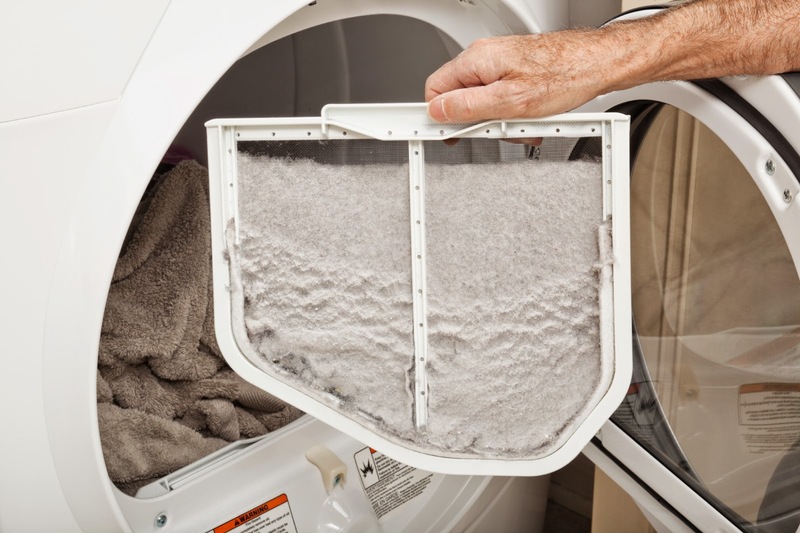 • Clean the dryer lint screen after each load. • Never leave your dryer running while you are gone. • Install a smoke detector in or near your laundry room. “Cleaning the vent exhaust is one of those jobs that tends to get put off,” said Mike. I admit that we don’t give it the attention it deserves. But the nice thing about sharing this sort of information is that it is a good reminder to me. I am going to clean my dryer vent right now. For more information about caring for your home dryer, check out our Helpful Hints section. If your fireplace repair need repairing, it is also a good time to update the fireplace to make it safer to use and more elegant looking. You can opt to install firebricks for dramatic effect or replace old mortar with high temperature cement for a lasting firebox performance……. I got this blog site through my friends and when I searched this really there were informative articles at the place domino 99. Congrats remodeling our kitchen!! Very reasonable pricing with Virginia Kitchen and Bath offering good advice on choice of cabinets, countertop & back dash, clarified all of our questions & becoming versatile all through whenever realignment is needed. Finished inside period promised, highly recommended remodeling company website!! Best Fence Contractor was very helpful and knowledgeable about the different options available, His installers did a great job and my wife and I are very happy with the results. My neighbors are also happy with the fence work. Great job Best Fence Contractor visit go here! !